Imperial Life Sciences Genomics Division has one of the most Advanced & Comprehensive Range of Instruments, catering to wide variety of applications being offered to Genomics Research Community in India. With strong support team consisting team of Well Qualified Scientists along with Well-Trained Team of Engineers, Imperial Life Sciences Genomics Division aims to provide End to End solutions to our customers. 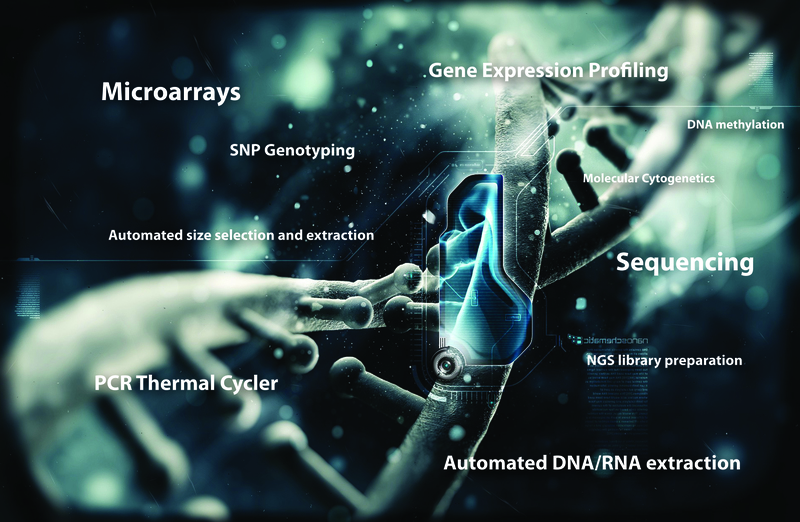 From Newly Launched Direct DNA/RNA Ultra-long read Sequencing system from Qxford Nanopore to Sequencing Solutions from 10x Genomics, Size Selection instruments from Sage Science to Industry Standard Microarrays solutions from Thermo Fisher Scientific. From DNA/RNA Extraction systems from Perkin Elmer to Mass Spectrometry from Agena Biosciences and Digital Colour Coded Barcode Technology from NanoString Technologies and many more. Imperial Life Sciences Genomics division aims to provide scientists & researches throughout the country with the world’s latest, most advanced technologies to enable them with tools required for their research.